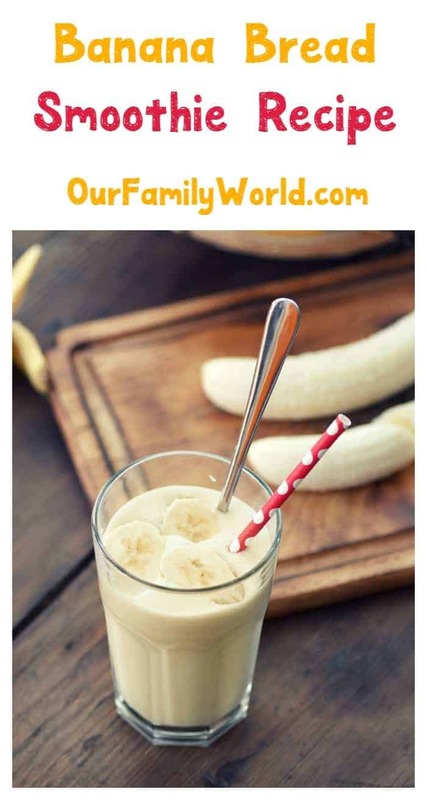 Give your breakfast a protein-packed punch with this delicious banana bread smoothie recipe, shared courtesy of Angie at Smoothie Recipes. Check out how she made it, then print out the recipe card for later! Banana bread is a staple of any household and is delicious for breakfast. If you don’t have time to make some for the mornings, this smoothie is a perfect hearty breakfast alternative and a great way to start the day. With an array of nutrients, healthy goodness and protein it will leave you feeling fuller for longer and surviving all the way until lunch. 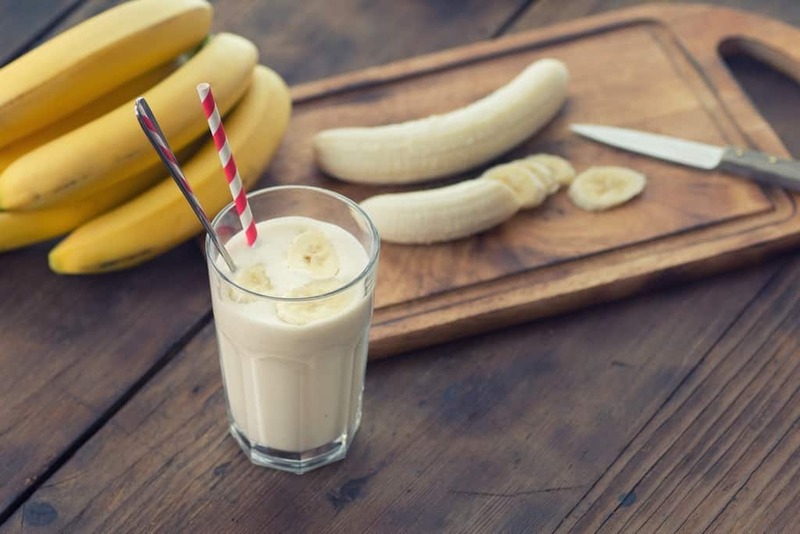 The use of protein powder in this smoothie means it is perfect for breakfast for those trying to lose weight or on a restricted diet because studies have shown that eating protein (over other things like carbs) for breakfast can leave you feeling less hungry throughout the day and less likely to snack. Do you have a favorite banana bread smoothie recipe that you make to give your mornings a protein boost? Tell us about it in the comments! The almond milk in this smoothie has been substituted because it is more nutritious than cow’s milk because it contains less sodium, cholesterol and saturated fat as well as being low in calories. It is high in healthy omega fatty acids which can prevent heart disease or high blood pressure and yet still manages to contain a large amount of calcium for healthy teeth and bones so you don’t miss out. Adding porridge oats to a smoothie adds more fiber which aids in digestion and leaving you feeling fuller which means you can have one of these as a quick and easy breakfast. Additionally, porridge oats are able to absorb the types of acids responsible for high cholesterol and help to eliminate them from your system leaving you healthier long term. Tip: If you prefer a smoother, less “bitty” texture to your smoothies you can grind the porridge oats into a flour for the same health benefits but with a smoother smoothie. You’ve got all my fave ingredients for one smoothie! Definitely a hit for this weekend, thanks! looks yummy and easy to make! This sound yummy! I love an easy smoothie recipe. Thanks for sharing! What I love about smoothies is that there are so many recipes for it and you won’t have an issue trying them all out because they’re so easy to make! I would love to give this recipe a try, thanks! this looks like a delicious pre-workout drink. This looks really good! I love smoothies and they’re perfect for mornings when you don’t have time. I like this blend, the flavors go well together! I love a quick and easy recipe to make. This looks so yummy! I want to try making it .